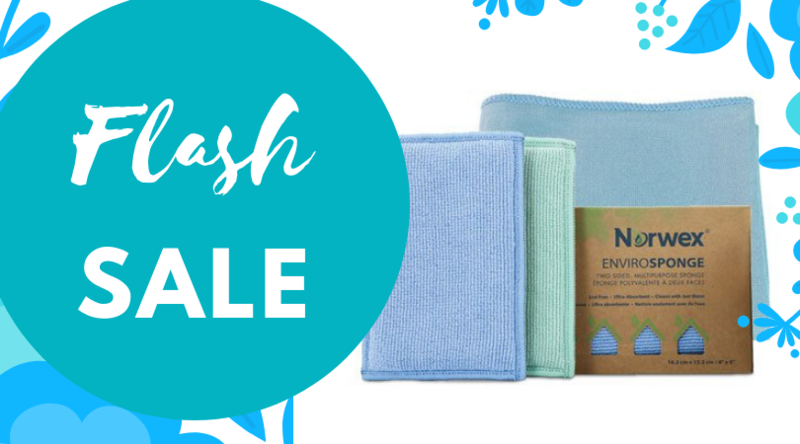 Have you heard of our limited-edition blue and green EnviroSponges? They are amazing! Regular old sponges do the trick for wiping up spills and soaking up wet messes. However, there is no other sponge that can live up to how well the EnviroSponge removes stubborn, stuck-on dirt and grime. It is dual-sided, with one side being Norwex EnviroCloth microfiber with BacLock, and the other side being a scrubby microfiber! This sponge is great for stains that have hardened onto countertops, and can even be used to get the rings out from your bathtub. 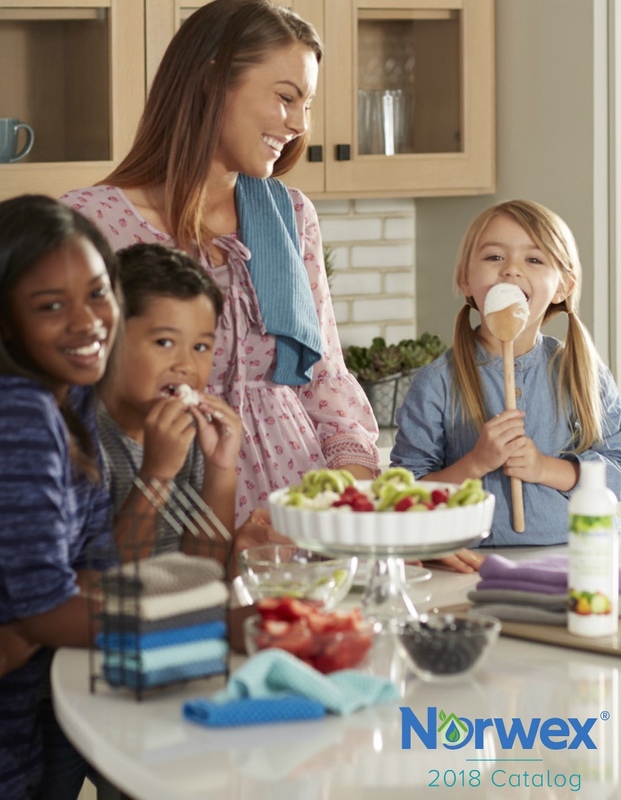 The microfiber cleans without the use of harmful chemicals, removing up to 99% of the bacteria off of the surface. The scrubby microfiber works to get out the toughest of stains, without scratching the surface! Unlike other sponges that harbor bacteria and smells, the BacLock in the sponge self-purifies so odors, mildew, and mold won’t linger. You can use this sponge again and again! 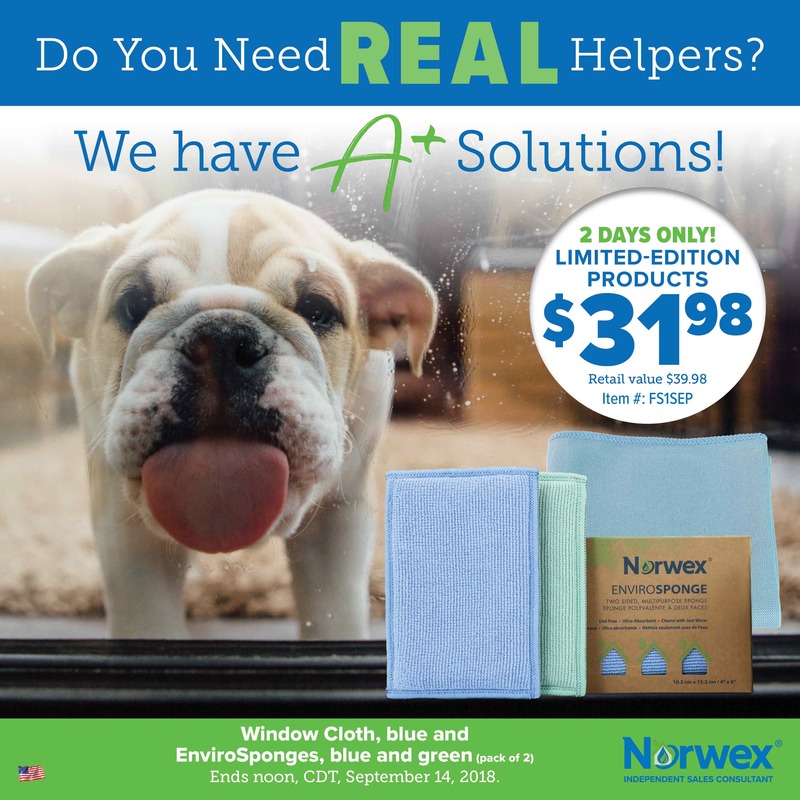 Right now you can take advantage of our flash sale and get the limited-edition blue Window Cloth and the limited-edition blue and green EnviroSponges 2-pack for only $31.98 (regularly $39.98). Wow, a 20% savings! This Flash Sale will last from noon, CDT, September 12 to noon, CDT, September 14, 2018. So hurry up and take part in this limited-time deal!